KIDSLINE is a online platform where parents can connect with babysitters, and make reservations at an affordable hourly rate. After creating an account, parents can view the profile of each sitter and send messages directly through our website. Each sitter has his/her own profile, with a calendared display of availability and reviews from other users. One reservation can be booked from the minimum of ¥1000 per hour. The cost of reservation varies by the babysitter you choose, as each reservation's payment is composed of "sitting fee" + "transportation fee" + "handling fee." Each sitter has their hourly rate displayed on their profile. 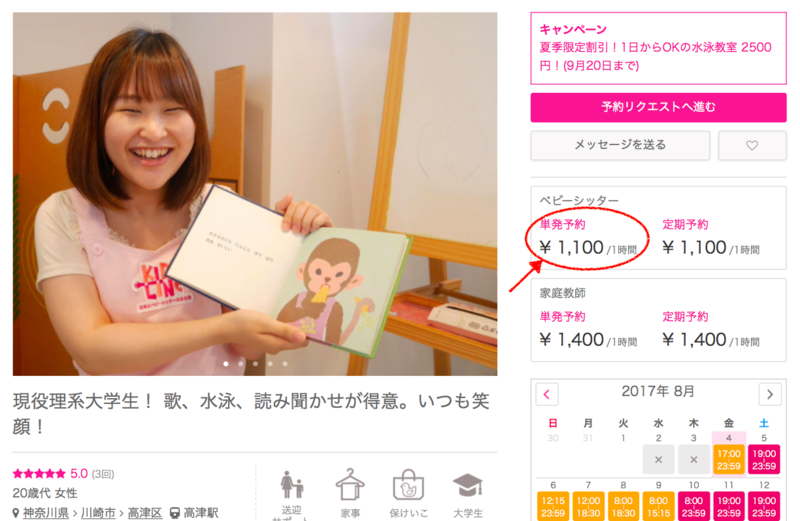 Babysitters registered at KIDSLINE has the hourly rate between ¥1000 ~ ¥3500 per hour. They may also have an "optional fee" that may apply to the reservation, such as "additional ¥500 per hour for the second children" or "additional ¥1000 per reservation for ordering house chores." Here at KIDSLINE, there is no registration fee or monthly fee. However, we ask for 20%(plus tax) *of the sitting charge as our handling fee. 20% handling fee is applicable for one-time request only. Handling fee for weekly(periodical) supports is 10%. We require every babysitter to go through a one-on-one interview, text-based training, and on-the-spot test before registering to our service. All payments are managed at online. After the babysitting is done, the sitter will send you the final invoice, where you can pay with the registered credit card, PayPal, or bank transfer*. ※PayPal and bank transfers are required prior to the reservation. Great! How do I register? To register, please proceed from "Register" button at the bottom of this page. ※Registration is available in English, but pages after registration are only available in Japanese. We ask all parents to upload a photo of an ID (health insurance card, driver's license, or passport) to check the registered name, date of birth, and address and a photo of the parent and the child together that will be available for the babysitter to see once the reservation is confirmed. For fathers, we also ask you to upload a photo of the children's ID(health insurance card or passport). Because we want to provide a safe work environment for the babysitters. We sincerely appreciate your understanding and cooperation. You can either search for the sitter by using "Conditional Search" or create a "Job Post" to post on the job bulletin for sitters. Reservation can be made in four simple steps! 1）Select "外国語対応" (foreign language) when searching, or click here to see the list of babysitters who are able to speak a foreign language (not limited to English). 2）Select the desired date on the calendar and proceed to the__ reservation request. On the next page, select the hours, and __enter the details of the reservation (i.e. where to pick up, how to spend the hours, what to eat for lunch, etc.). 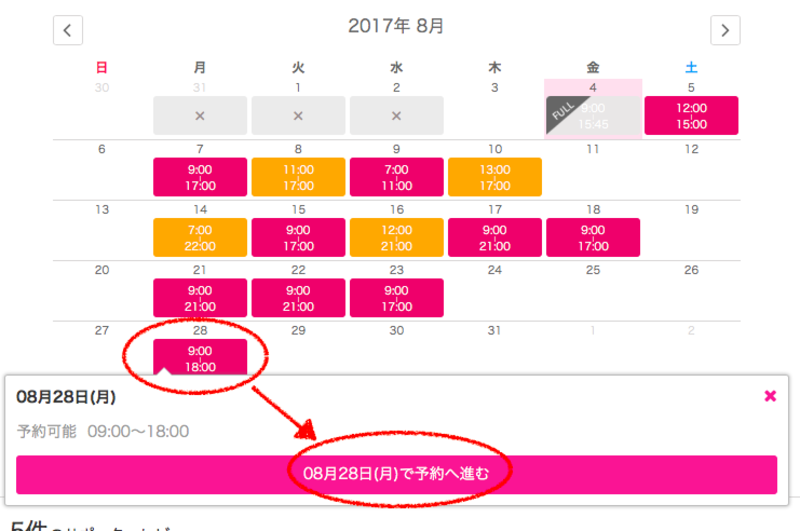 ※If you are booking from overseas, the hours displayed on your screen will convert to the time in Japan. 3）Once the sitter has received the request, he/she will send out a estimate for the reservation. Please check the price before confirmation. 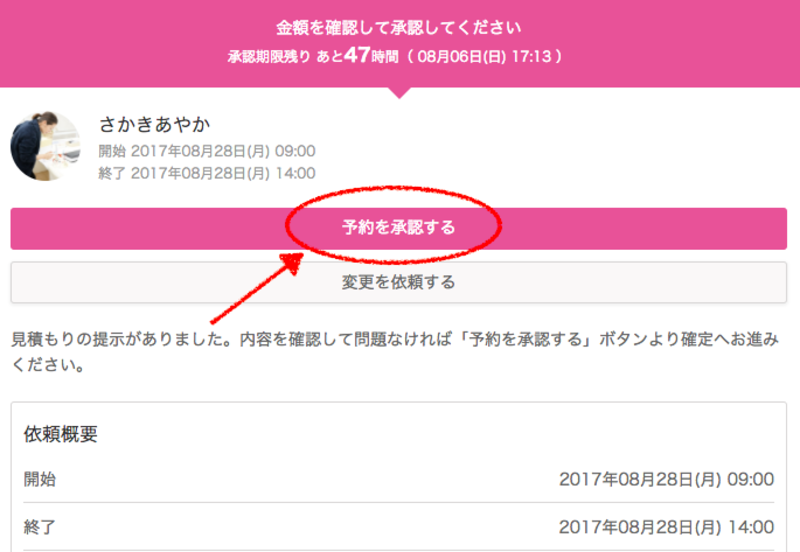 4）You may confirm the reservation by pressing the pink button "予約を承認する." From this link below, you can post a job on the job bulletin. When a sitter applies to the job, you will be notified by email and app notification. Once you have decided on the sitter, follow the steps 2~4 mentioned above to book the sitter! You can sit back and relax! However, we recommend parents to message the sitter prior to the reservation. You can message the sitter directly by clicking on the mailbox mark or "メッセージを送る” button on his/her profile. If you have any more questions, please email KIDSLINE customer center at support@kidsline.me !